For complete course information and registration, please click here. This activity will highlight the latest diagnostic techniques, management strategies and research developments that impact the care of patients with gastrointestinal and liver disorders. Providers do not feel comfortable or knowledgeable in assessing or treating opioid use disorders and many have not completed the waiver certification training to be able to prescribe buprenorphine. State data reveals large geographic areas in NJ where no buprenorphine prescribes are available. This conference is designed to meet the requirement for a buprenorphine waiver certification under the DATA 2000 federal law. Participants will learn about opioid use disorder and how to prescribe buprenorphine for their patients. 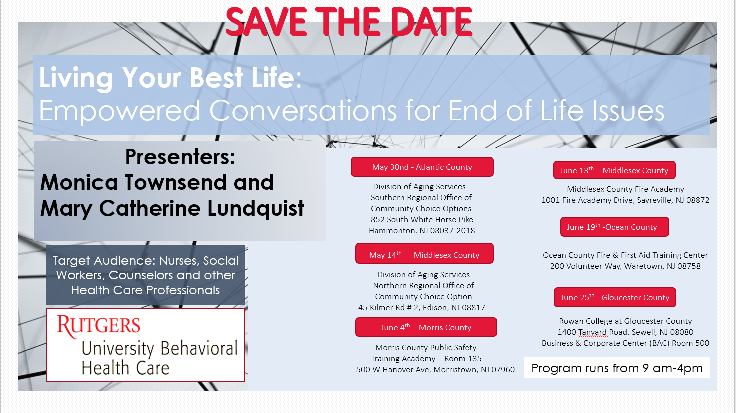 This activity will provide learners with strategies for assisting consumers with navigating end of life issues including initiating conversations, use of tools in the field, and different forms of grief associated with end of life issues. Self care for professionals will also be discussed. This activity will provide healthcare practitioners with the knowledge, skills and strategies to better understand the barriers to high quality health care for transgender individuals and to propose appropriate clinical care delivering options in order to understand both the mechanisms of those barriers and potential interventions to overcome them. 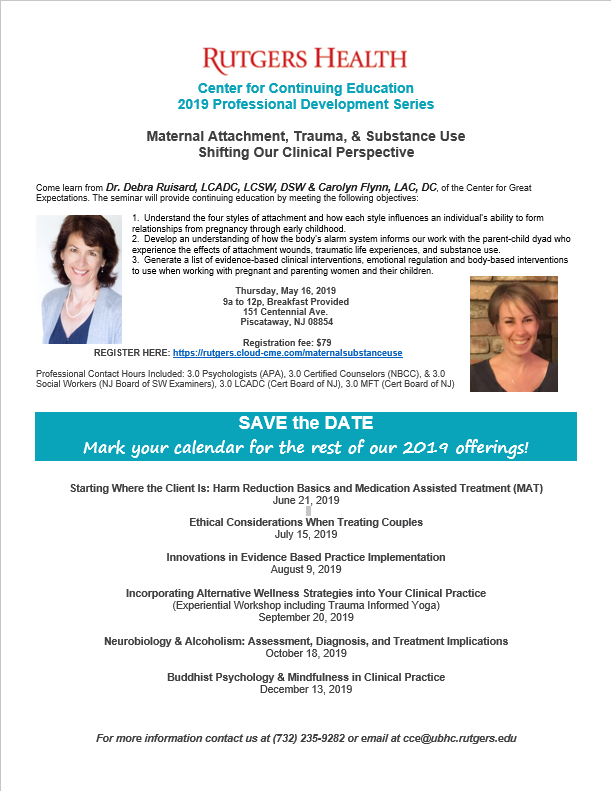 This activity will discuss clinical interventions for pregnant and parenting women with substance use disorders. 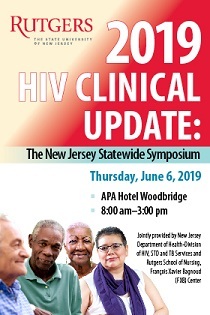 This conference will address the most current information on HIV and aging, disabilities and HIV, immunizations for PLWH, HIV disparities in rural New Jersey, and innovative approaches to engaging youth in the prevention of HIV. 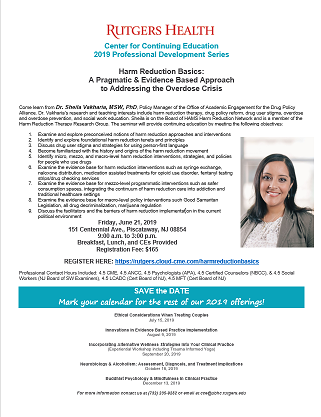 This activity will discuss the basics of harm reduction including micro, mezzo, and macro-level harm reduction interventions, strategies, and policies for people who use drugs. 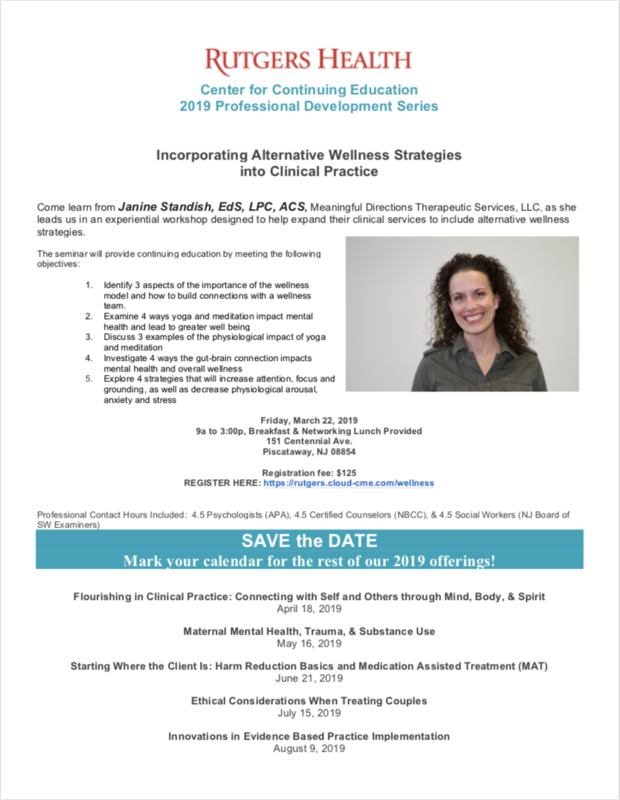 This activity is an interactive workshop focused on increasing overall client wellness by incorporating alternative wellness strategies in clinical mental health practice.